Large-scale power users such as businesses, schools, Colleges, hospitals and government agencies can take advantage of our expertise to transform rooftops, shade structures and available open space into efficient, cost-saving, renewable energy power plants. One of the biggest benefits that distributed power generation holds for businesses is that solar power cells (photovoltaic or PV cells) produce electricity when you need it most - during the day, at the peak of utility power usage. In case if a business also has critical systems that must have power 24/7, installation of variety of backup can be done to support your mission critical systems all time without any failure. Protection against rising costs of diesel. Standalone systems are ideal for those establishments where there is poor quality of electricity supply from the grid like low or fluctuating or interrupted voltage or electricity supply, load shedding, peak hour load restrictions or very high electricity tariffs. 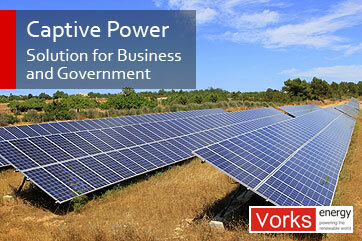 Our Stand-alone PV solution would help you to operate independent of the electricity grid. The power generated from the PV System can be designed and sized to supply certain DC and/or AC electrical loads. You have the option to run the system with battery backups or without battery backups. Grid Connected Solar PV System is connected to the electricity grid and feeds power back into the grid. The system consists of PV panel connected to grid tie inverter. The power produced by the PV system can be either supplied to loads or fed back into grid when the PV system output is greater than the load demand. When the PV system output is less than the load demand (e.g. at night), energy will be consumed from the utility grid. Hybrid Solar PV and Generator system combines two energy sources; the sun and a diesel generator (genset), where the genset supplies excess load and recharge the battery during overcasts. Solar PV Modules can be used to act as energy source for meeting certain percentage of your energy requirement and balance energy requirement can be met through Electricity Grid connection. In case of power failure or when excessive energy is required a Genset can be used to meet the excessive energy requirements. The system can also be supported with battery backup for usage during the night or can be used as a battery backup source in case of cloudy days or bad weather. The system is designed in such a way that it ensures maximum battery life with optimum discharge of batteries. Another way of looking at the system is when a genset is added, additional battery charging and direct AC load supply capabilities are provided. The need to build in system autonomy is therefore greatly reduced. When energy demands cannot be met by the PV portion of the system for any reason like bad weather or cloudy days, the genset is brought on line to provide the required backup power. Substantial cost savings can be achieved and overall system reliability is enhanced.